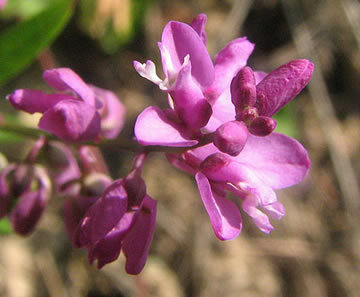 Identification: Flowers pink, pealike, occurring singly on distinct flower stalks, not compacted into a head. Leaves elongate, narrow, alternate on the stem (not whorled). Plant often heavily leafy. 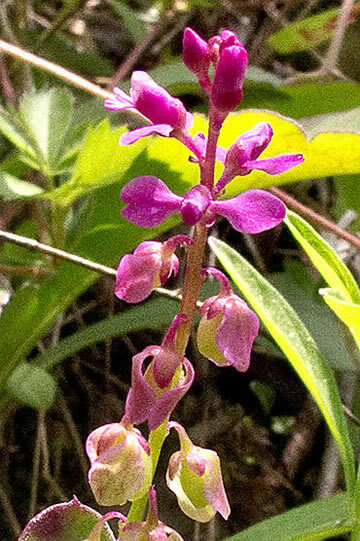 Plant 4 to 12 inches in height. Flowering period: June to July. Distribution: Minnesota in the west to Maine in the east, southward Florida and Texas. 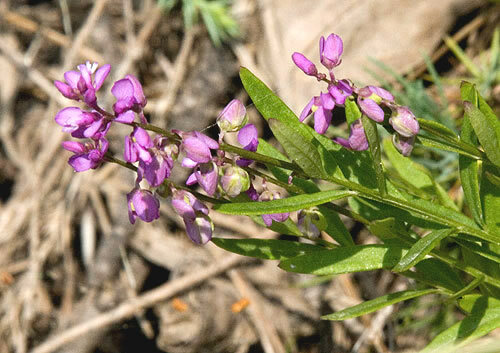 Habitat: Racemed Milkwort is found in sandy woods and open, sandy fields. 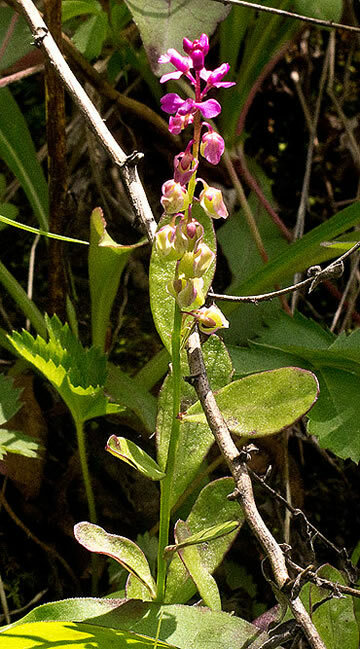 Similar Species: The rose colored flowers in open racemes and the alternate leaves should identify Racemed Milkwort.